It’s never too early to brand. In fact, it’s critical to brand yourself and your company early. If investors don’t understand what you stand for and what you can offer, they won’t invest because they know that consumers won’t understand either. 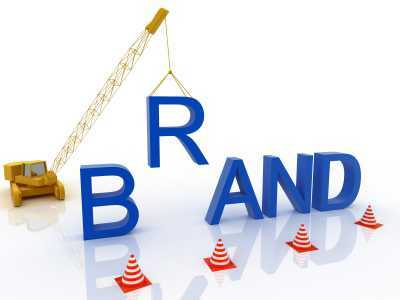 The business landscape is such that you absolutely must brand. There are far too many choices out there for consumers for you to leave their patronage up to chance. You need to be actively involved in branding. Even if your goods and services are comparably priced and of comparable value, your goods and services will go untapped if you don’t brand. This is because you can bet that your competitors are out there branding their own company, and when all other things are equal (and sometimes, even when they’re not), the consumer reaches for familiar brand. As long as your competition is out there branding without you, you miss out on reaching new clientele, but you’re also letting the competition swoop in and take business away from you. Your brand is closely allied to your reputation, so if you’re not actively building your brand, you’re not doing anything to improve your reputation. And you’re not doing anything to combat anything negative regarding your reputation. We all know it instinctively, don’t we? It’s your reputation and your presence, and it’s what drives undecided customers to go with you rather than someone else. One way – and I think it’s a good one – to think of your brand is as being your passive (and never-ending) marketing campaign. When you put it in those terms, it becomes much more salient. Your brand is everything that helps the customer choose you when it comes time for making a purchase. So how do you establish your brand? 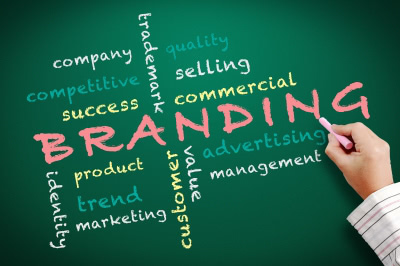 As difficult as it is, you need to begin with branding. From the get-go you need to act with your brand in mind. You’re already brand-minded when you’re pitching to your investors. You just need to share your vision with consumers, so they can see it to. Do something that makes people talk. Visibility is the first step in building a brand, and if you launch by differentiating yourself from the competition, you’re sure to get the attention you need. But don’t merely seek attention through a marketing gimmick. Make sure that your advertising relates to your business. In other words, if you sell pets, don’t organize a flash mob of dancers – unless they’re dressed as pets; and if you’re a dance studio, do organize a flash mob of dancers. If you notify local news outlets in time, and reach out to online venues, you can begin your career with a positive buzz around your brand. Your presence online is obviously a huge part of your success in finding new business, but it also goes a long way to establishing your brand. If you post relevant content, your customers will see you as relevant and return over and over. You have to be dedicated, however, to make your social media presence work for you. If you’re not going to be active, that reflects poorly on you. You’re not adding any value to the life of the consumer, so they’re not going to be thinking of you; in fact, they may almost come to see you as wasting their space. You may have to pick between online social media outlets to make sure that wherever you are, you’re consistently updating and adding value to the lives of your consumers. If you have – and you absolutely should – a good read on your customers’ personas, you’ll know which venues are critical to your fledgling brand. Pinterest is probably going to mean more to a small landscape design firm than Tumblr would. 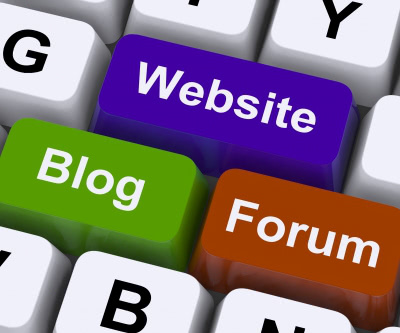 From its inception, your business should have a blog. Say, for example, that you have 8 static pages on your website. That’s 8 places Google can index and deem relevant for sending interested searchers. With a blog, Google now has those original 8 pages and 1-2 pages more every week you’ve been blogging (after two years you’re up to 108 pages indexed). Since the Penguin and Panda Google updates have gone into effect, the need for relevant and authoritative content has never been higher. If you’re blogging consistently, and consistently offering relevant and authoritative content, then you’re Google rank is going to go up. And your customers will start to think of you as more relevant and authoritative – and consequently your brand recognition will go up. “Won’t I run out of things I can speak authoritatively on?” you may ask. The answer may be yes if you’re not actively participating in various social media. The answer should be, “Absolutely not,” though. That’s because you are keeping up with social media and seeing the trends as they appear, so you can continually speak authoritatively on relevant topics. You’ll want – and this is true of all social media – to speak less about yourself and more about what interests your customers. Now, because you’re providing services that they presumably want (or expect to need), you absolutely should highlight your ability to do so. The key is not to inundate them with testimonials, reviews, and deals related directly to your site. Four out of every five posts should be about something other than your company. One out of five posts specifically highlights what you’re bringing to the table, but only as an answer to one of the pressing questions you’ve noticed your customers asking. Three out of five posts will be content related to your field as it relates to the interests of your customers. And one out of five posts show how your company engages with the world at large, or how everyone in the office laughed at something hilarious you stumbled upon. And every single post should offer your customers an opportunity for engagement, whether that’s through asking a question (seeking their opinion) or promoting a contest. As with other social media, you’ll need to be consistent, so if you’re worried about that, give yourself a buffer by working up a reserve of blog posts. Figure out what you’re offering that customers cannot – or, more likely, simply are not – getting from your competitors. Likely that difference is not in content. Economics dictate that you’re probably pricing your goods and services at similar rates, so that difference is coming from your brand, and from you, since as an entrepreneur, you’re a huge part of your company brand. If your competitor’s website is staid and boring, yours should be lively: if your website showcases the personalities of your team, you’re adding value to your brand. People buy from people they like, so show that your company is likeable, that the people that make up your company are likeable. Hire an animated marketing video production company and get something funny (and informative) out there to create a buzz. Transform your employee page into a dramatization of a typical day at work, and include a disclaimer that you went animated because you couldn’t find actors talented enough, or attractive enough, to play your parts—and you would have acted it out yourselves but you were too busy doing whatever it is that you do to enrich the lives of your consumers. The process of building up your brand, even when you start with that conscious goal, takes time. Launching memorably will get the initial buzz going, but if you don’t back that up with solid goods and/or services, it won’t do any good. And once you’ve got that loyal starting fan-base, if you’re not active on social media, you’re not going to expand the horizons of your brand. Clearly show your value, bring your personality to bear, make yourself visible and memorable, and your brand will grow along with your profits. Edson Senna grew up in New Canaan, Connecticut. He graduated with a BS in International Business from George Washington University. Currently, he lives in Brooklyn, New York, and is pursuing a MBA at NYU. He is single and enjoys writing about investing, finance, entrepreneurship, and business.